So you've found the perfect spot for your ceremony, you've got your junior attendants picked out and you plan to have them scatter petals as you walk down the aisle...then you find out that your venue doesn't allow anything to be scattered on their premises; now what do you do with the flower girl baskets? Fear not! We have some fun filling alternatives and other uses for your flower girl baskets. Many ceremony venues don't allow confetti or petals of any type to be scattered on their premises. It may be for environmental reasons or it may simply be because of the clean up afterwards. When asking your venue whether they allow confetti or petals, consider offering to have someone clean up afterwards, it may make all the difference. WHAT TO FILL YOUR FLOWER GIRL BASKETS WITH? Your reception venue may be more forgiving and allow confetti and petals. So if you were not allowed to scatter anything at the ceremony, the reception is the perfect moment for your junior attendants to get involved and show off their scattering technique. 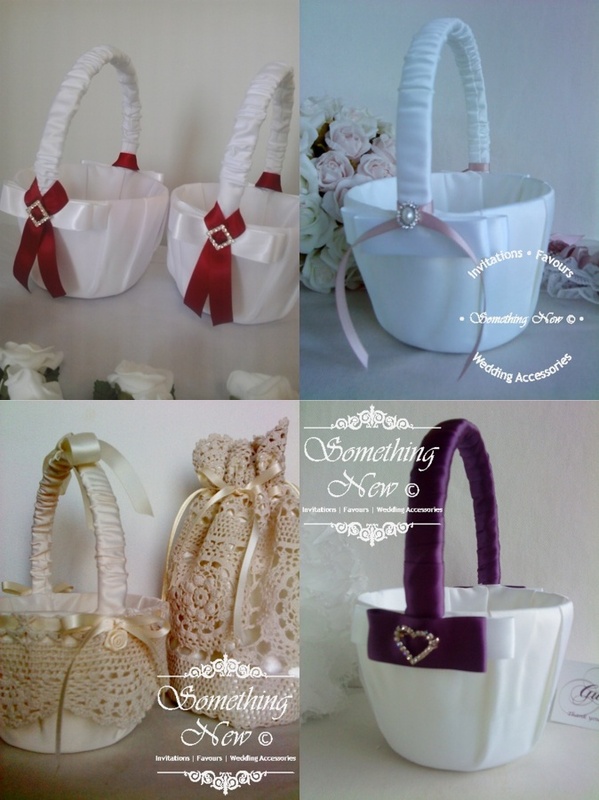 You can find your flower girl baskets and other wedding accessories at Something New. We can also theme them to match the colour scheme of your wedding day. Come in and ask us how. You can find Something New in the Mandurah Ocean Marina at Dolphin Quay.